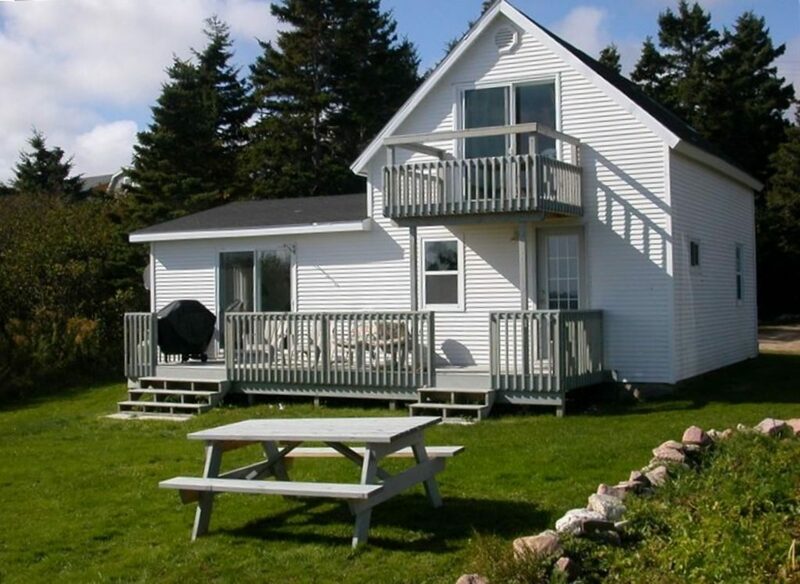 Neil’s Harbour Cottage on 1.5 Acres of Private Oceanfront Property – Spectacular Views! Enjoy amazing views, roaring waves, wildlife sightings, and shooting stars while you stay at this lovely, meticulously maintained cottage on over an acre of private oceanfront property. From the cottage, walk the short path lined by windswept grasses and wild flowers to the stunning water’s edge. 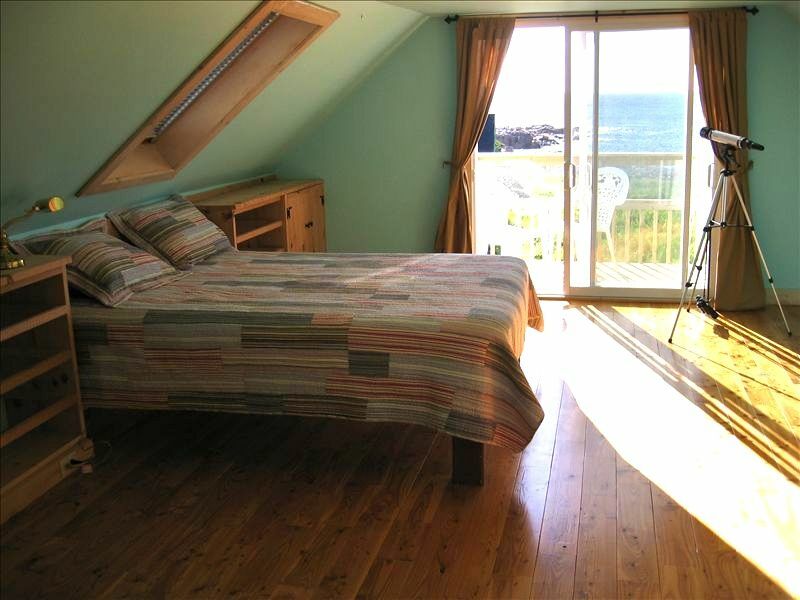 Marvel at panoramic views of the rocky Atlantic shoreline from the upper deck. From the master bedroom deck, listen to the waves, spot whales, eagles, gannets, and seals. The beautiful master bedroom includes a queen size bed, a futon and a half-bath and is located on the second floor. On the first floor, enjoy the spacious and bright eat-in kitchen. The kitchen is fully equipped with a large table and new appliances. The lower deck is equipped with a gas grill and overlooks a beautiful lawn and the natural landscape of the shoreline. Relax in the living room in front of the TV while viewing the ocean through the sliding glass doors. The spacious living room features a full Simmons pull out sofa bed and a gas fireplace. The front living room includes a comfortable day bed with detachable twin trundle bed that reaches full bed height and can be rolled away from the day bed. Full bath and laundry room are also located on the first floor. We have also added high-speed internet. In the distance, view the light house and quaint working fishing village of Neil’s Harbour. You will appreciate the convenience of the short walk to the grocery store, pharmacy, lighthouse and ice cream parlour. Neils’s Harbour Beach, the restaurant, hospital, and post office are all located within 1 km. Neil’s Harbour Cottage is on the east coast of Cape Breton Island and only minutes from the Cabot Trail’s beautiful hiking and vistas. Kayaking, hiking, bicycling, outdoor adventures, a swimming beach and quaint restaurants are all within 10-20 minutes. Enjoy sailing, whale watching, and world-class golfing within 30 minutes.